"Curatorial Hub is an online gallery featuring affordable and diverse work by well-known and emerging artists from Los Angeles and beyond. he concept for Curatorial Hub was created by artist Bettina Hubby who generously devotes part of her practice to collaboration and connection, both of which are central to this new initiative. Hubby’s collaborator, Saskia Wilson-Brown, is the founder of The Institute of Art and Olfaction, a non-profit devoted to experimentation and access in perfumery and experimental scent. Teaming up, they form a partnership in this new arts-venture that draws on their combined strengths of curating, collaborating and poetic outreach. 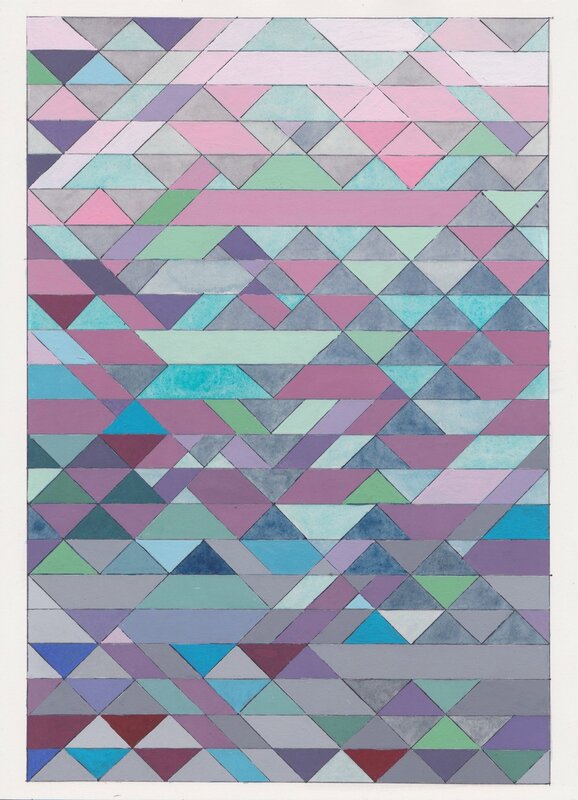 I've been working on these watercolors -- Inspired by Bauhaus fabric design, I have created hand painted designs that echo these shapes in natural, ephemeral colors. They are hand painted in ink, watercolor and gouache.